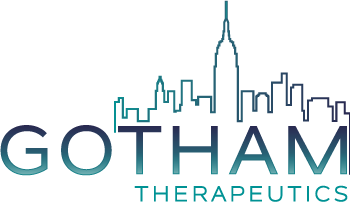 Gotham Therapeutics, a biotechnology company developing a novel drug class targeting RNA-modifying proteins, today announced the appointment of Carlo Incerti, M.D., Ph.D. as an independent Board Member. In addition, the company today added Thomas Tuschl, Ph.D. as a Scientific Advisor. In October 2018, Gotham Therapeutics debuted with a $54 million Series A financing co-led by founding investor Versant Ventures, Forbion and S.R. One. Meet the team at the 11th Annual ChinaBio® Partnering Forum at the Kerry Hotel in Shanghai, China, May 08 - 09, 2019. Meet the team at the NewYorkBIO/NYSE Emerging Company Showcase at the New York Stock Exchange, NY, USA, May 13, 2019. Meet the team at the 8th Drug Discovery Innovation Programme at the Embassy Suites by Hilton Boston at Logan Airport, Boston, MA, USA, May 21 -22, 2019. Meet the team at the 2nd Symposium on Nucleic Acid Modifications “RNA modifications: Form, function and mechanism” at the Weizmann Institute of Science, Rehovot, Israel, June 25-27, 2019. Meet the team at the 1st RNA Epigenetics in Human Disease Conference at the St Catharine’s College, Cambridge, UK, September 17-20, 2019.